NF Innova has successfully implemented the first digital bank at Societe General Bank. Now in their online bank customers can carry out all banking transactions as if they were in the branch office, with the advantage that the services can be done at the time that suits them and at the place where they wish to perform a banking operation. This major innovation demonstrates in the best way the opportunities provided by iBanking platform that not only help banks to keep up with modern trends in banking, but also allows them to be the trend setters. 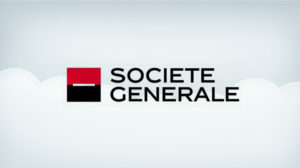 Societe Generale is the first on the Serbian market to introduce digital signature and through e-banking platform the entire process of applying for banking services is enabled through digital channels for the first time, beginning from registering for the service, all the way to digitally signing documents and contracts. Among the supported online services are also granting overdraft and cash loans, as well as online opening of savings accounts and term deposits. Societe Generale bank clients with certificates to digitally sign documents can perform all of these tasks from their home or office. Personal contact is also not forgotten. If customers need to consult with their banker, they do not have to go to a branch. E-banking platform of Societe Generale Bank enables a video communication with financial advisers who are providing services to the customers much longer than in the offices (weekdays from 8 a.m. to 10 p.m. and weekends from 10 a.m to 7 p.m.). In the second phase of this project, it is planned to do the implementation of new functionalities as well as the development of mobile applications that will enable digital banking on mobile devices.